Sorry to break it to you... but we are officially attention deficient. What cut it a decade ago in marketing world just doesn't cut it anymore, unless of course your consumer is a goldfish. According to a research, 14 years ago human's average attention span was 12 seconds, and in 2013 it fell down to 8 seconds, while a goldfish have an attention span of 9 seconds. In short, our brains make a decision in just 8 seconds whether to stay focused, or skip and relocate to a new topic. So make your marketing strategy bitesized or be left behind. 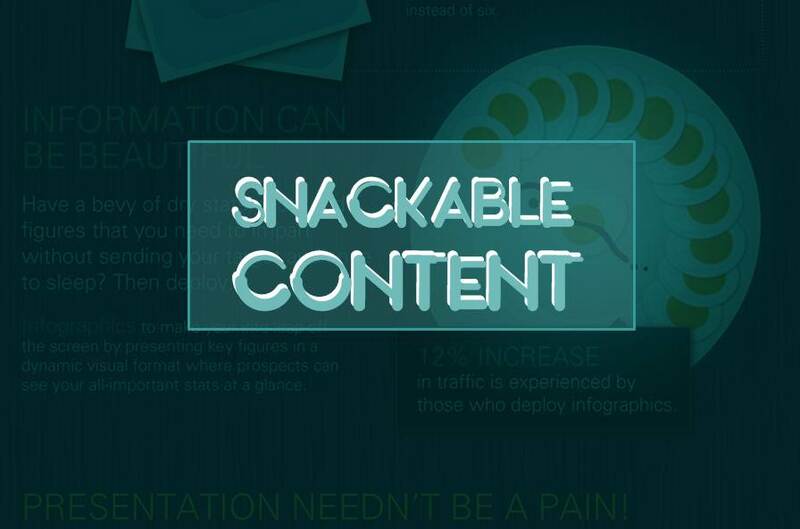 Take a look at this infographic by eloqua titled Content Smorgasbord: Top Examples of ‘Snackable’ Content delineating why your marketing content should be digestible in a lunch-break.